AE is involved with the engineering of a large assortment of sound reduction doors which are fabricated using high grade raw material like the 16 SWG CRC which is picked from reliable sources. Our doors come with condensed mantles and promise a density of 100 kg /m3. We are among the no.1 suppliers of the rock wool mattress. Our mattress lined with fibroid paper & MS perforated sheet of a reasonable thickness. We also have provision for a dual glass window & soundproof doors, as and when desired. Our Sound Reduction Panels come with heavy-duty hinges and a coating to ensure termite resistance. 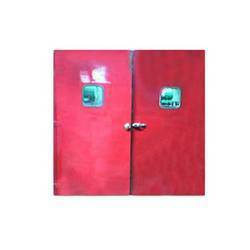 Looking for Sound Reduction Doors ?